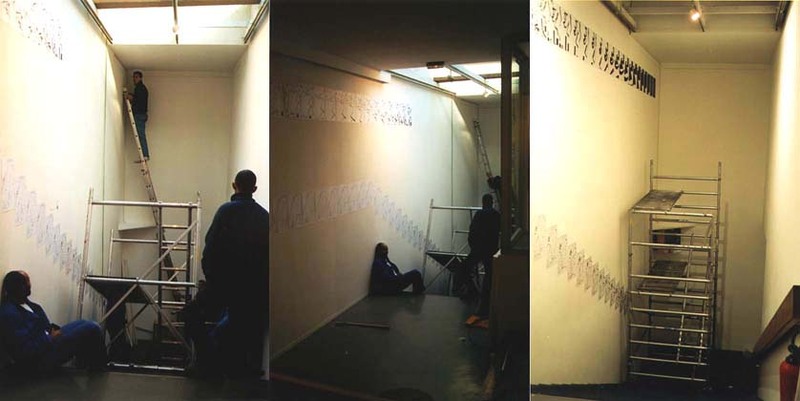 Installing "Psycho-Mapping Scandinavia" in the stairway at Musée d'Art Moderne de la Ville de Paris, for the exhibition Nuit Blanche. The work, consisting of photo-copies, was stapled to the wall. At the end the installation process became VERY difficult.